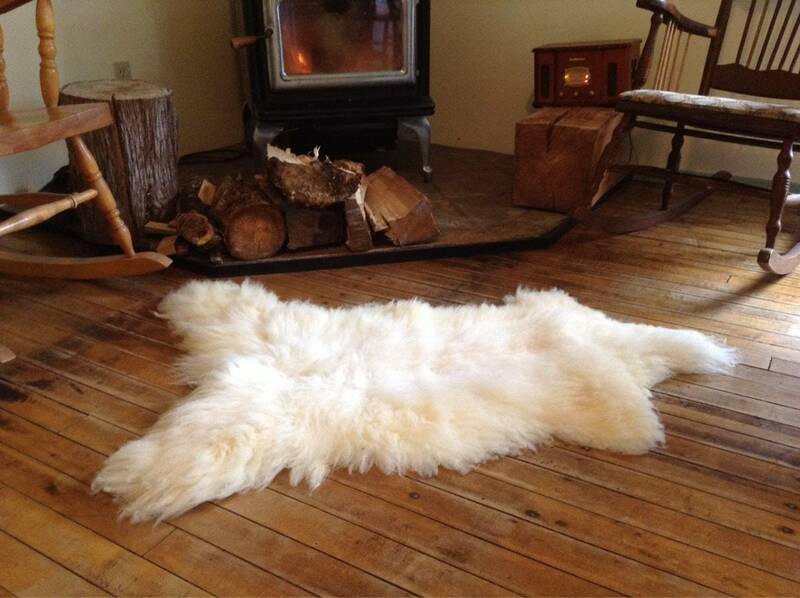 As with all our sheepskins; you will receive the one that is depicted in the photos above. Each one is unique! Not like anything you would find in a store. 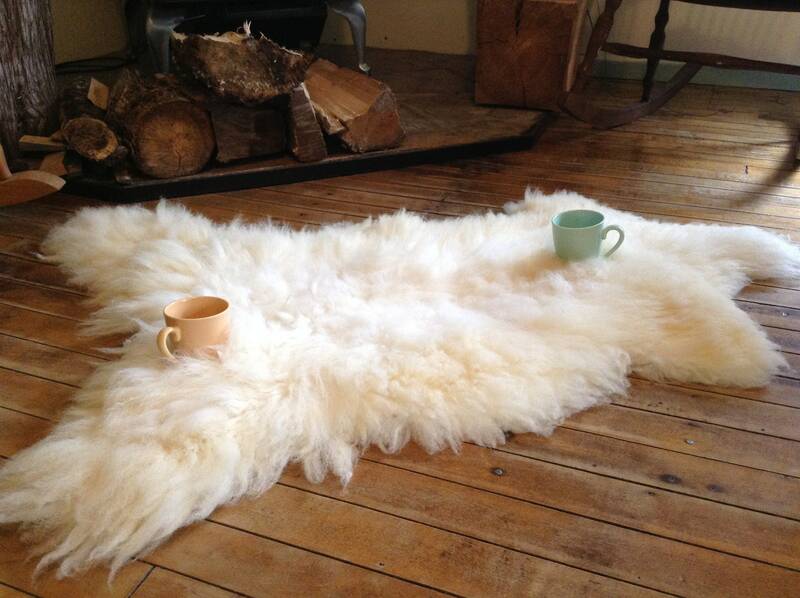 Sink your toes into this on a cold, wintery morning! Real, authentic lamb skin from our farm. Measures 47" x 31" wool length 2" to 4" . Off white coloured ....completely natural colour of this lamb! 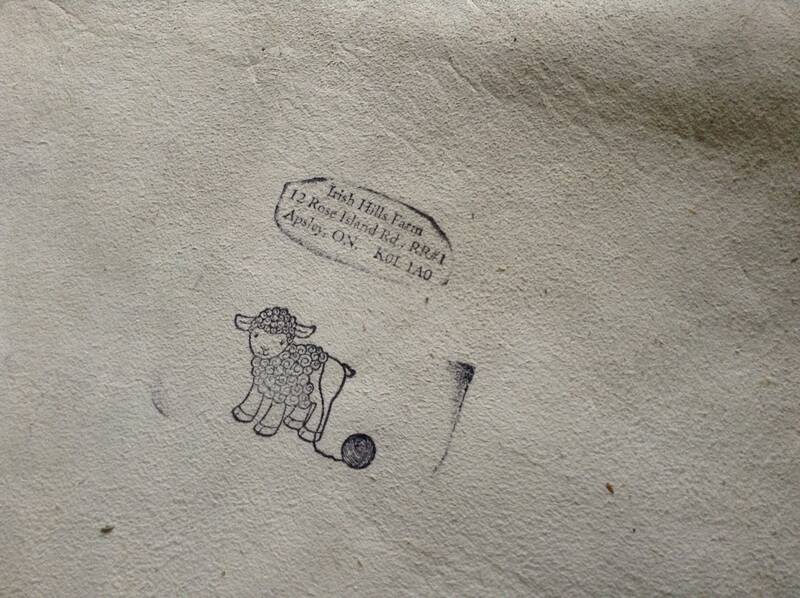 What makes this lambskin so special? It is from one of our Dorset lambs which have thick wool to protect them in very cold and hilly areas. Very soft and beautiful feeling and completely machine washable! 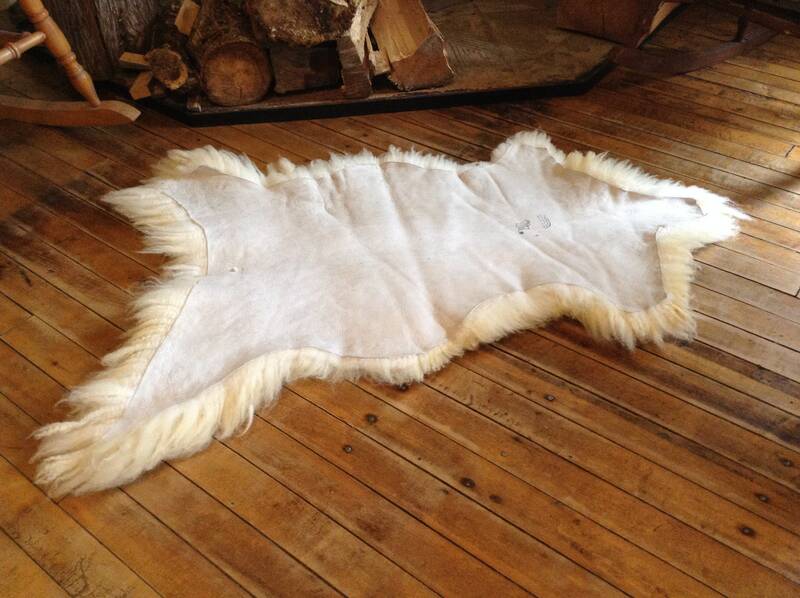 This skin is from one of our free range, organically raised lambs, free ranging over 300 acres of Canadian wilderness. 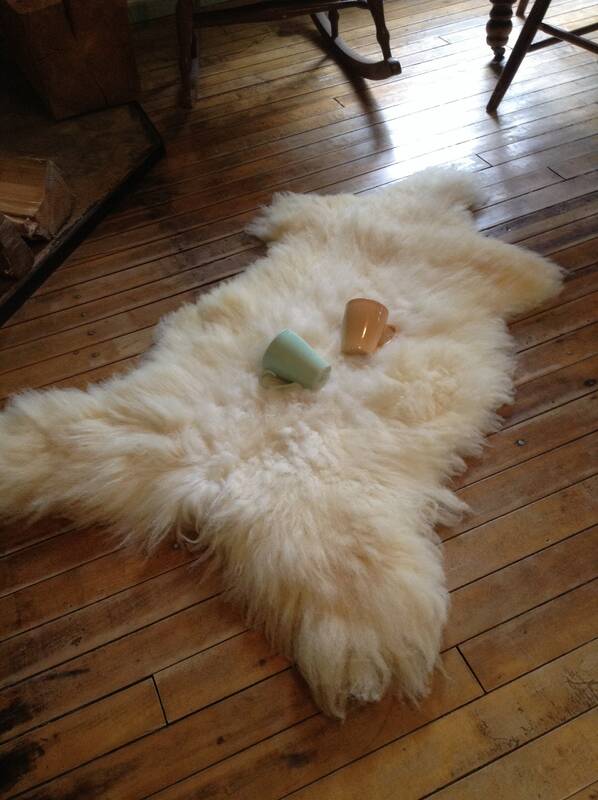 Makes a beautiful romantic rug and actually helps with sleep! Is theraputic, natural and feels soooo good! Washing instructions included. Please see our website www.irishhillsfarmapsley.com for more info on our farm:) Raised with pride and care! *Wine glasses and / or cups not included.